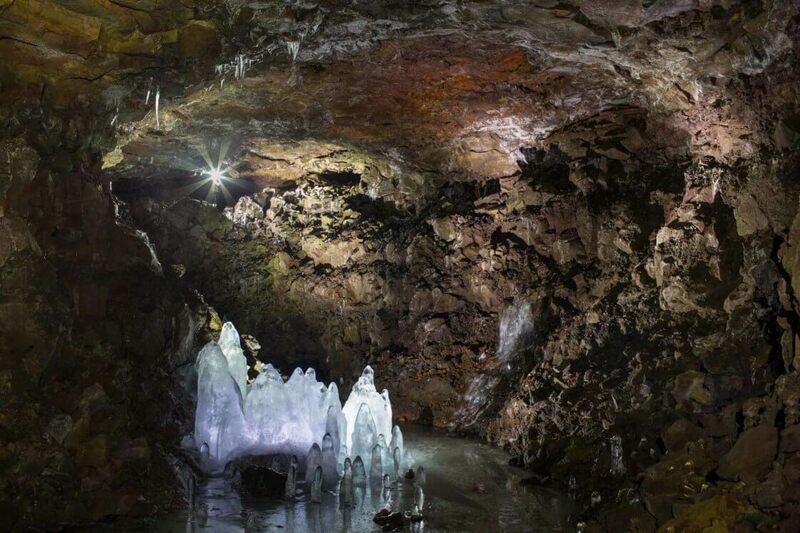 Lofthellir, a 3500 year old lava cave, is a world of ice and darkness, located in the northeastern part of Iceland near Lake Myvatn. 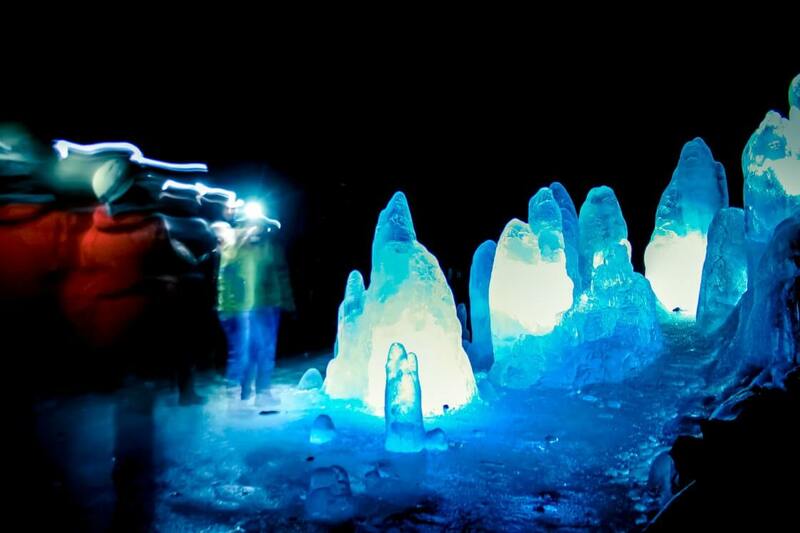 Bring with you: warm and waterproof clothes, gloves, hiking shoes & water bottle. 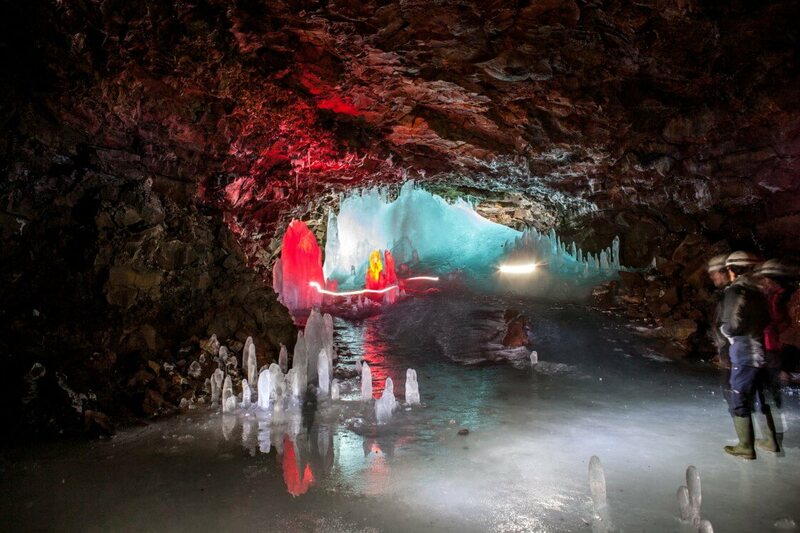 Cave Exploration Lofthellir tour takes you to the mystical world of darkness and ice in the Lofthellir Cave, a natural lava cave that boasts the greatest natural ice sculptures currently known in Iceland. We drive straight to Lake Mývatn from Akureyri and from there along a rugged track to the unique volcano Hverfell, through the crater row of Lúdentarborgir to the roots of Mt. Hvannfell. 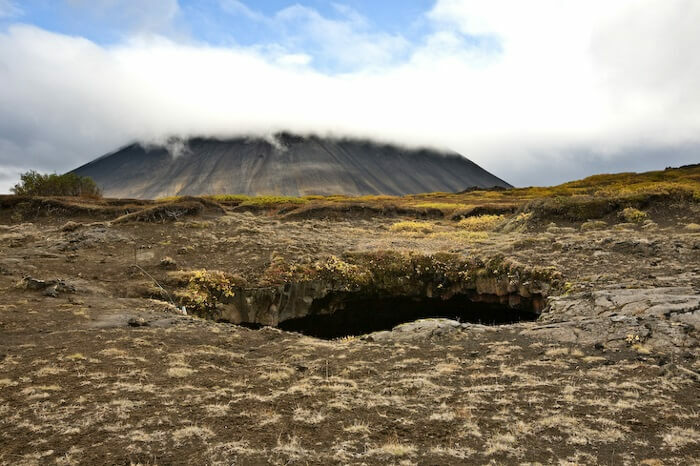 After a 20 minute walk across a lava field which is adorned by endless ropey lava, we reach the Lofthellir Lava Cave. 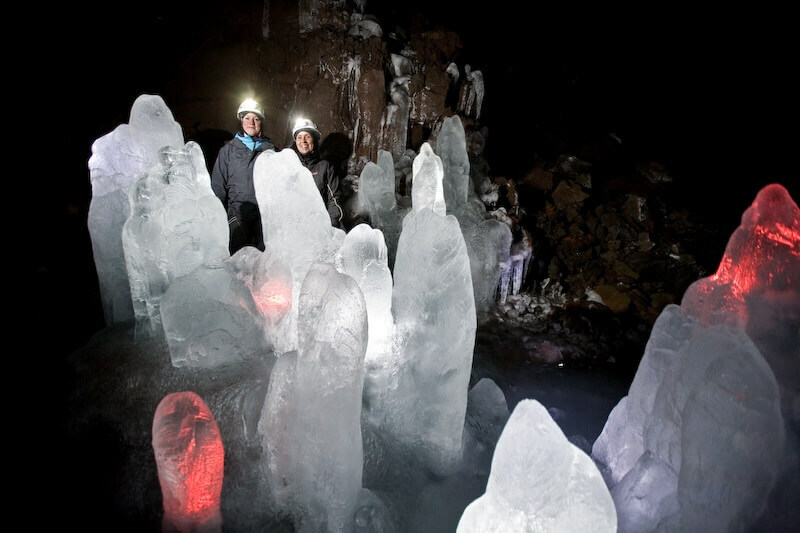 At least one hour is spent inside the cave, observing this unbelievable natural phenomenon. We make a short stop in the village of Reykjahlíð by Lake Mývatn before returning to Akureyri.